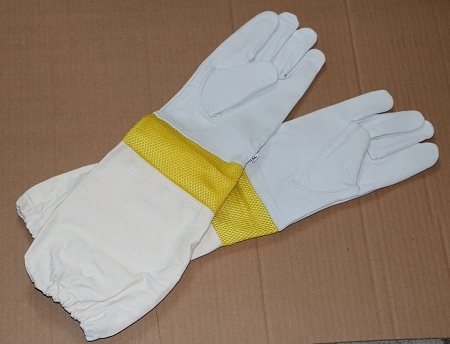 These deluxe goatskin beekeeping gloves have a ventilation panel on the cuff and a long sleeve with elastic to provide great protection from stings! 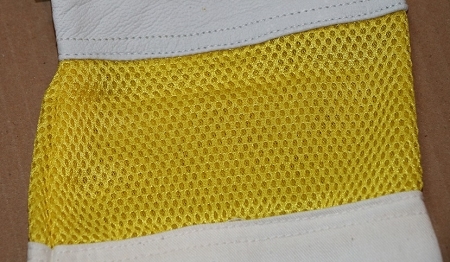 The goatskin is softer and more supple than leather giving you better dexterity when you are working the hives. The gloves are available in XXXS, XXS, XS, S, M, L & XL, so you can find the right size for that perfect fit. These are my favorite gloves, as they are soft, durable, and breathable with the ventilation. In addition, it is hard to find Extra Small for women's hands, but Hillside keeps XS in stock.